Setting off from Phnom Penh on this 3-night journey, the Aqua Mekong sails past the emerald rice fields of pastoral Cambodia towards the fascinating, modern Vietnam. Enjoy twice daily excursions on our private speedboats, and guided visits to Vietnam's famously dynamic riverside markets on traditional rickshaws. You will have plenty of opportunities to explore, from daily biking options (10 – 15km), kayaking, to relaxing excursions on shaded tuk-tuk. 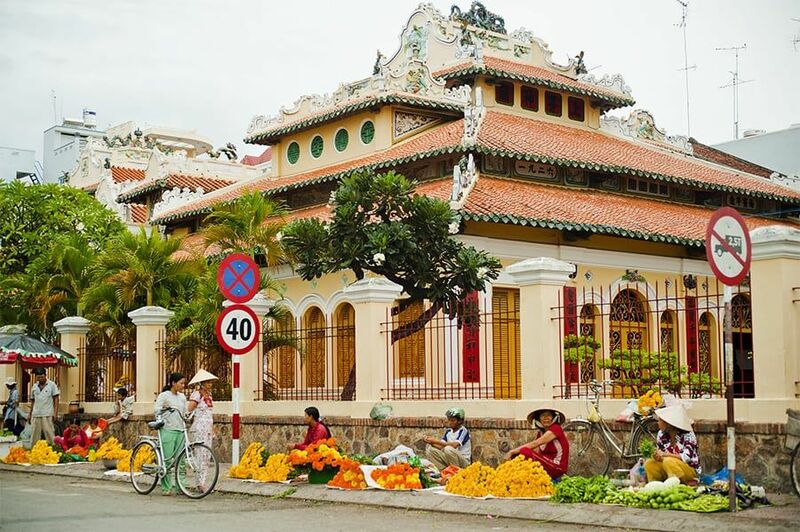 Listen to folk songs as honored guests in pitched roof Vietnamese homes and cycle along the village to witness the hustle and bustle of its streets. Experience life on the river by boarding a local sampan to visit floating market and ancient houses. The Mekong River tells its story between Cambodia and Vietnam as our guests encounter splendidly the different cultures en route and experience the authentic life on the river.